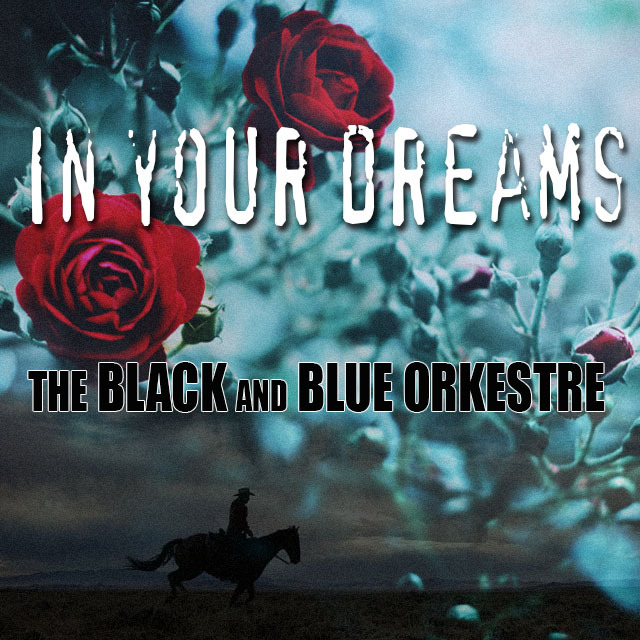 “IN YOUR DREAMS” is the latest single by THE BLACK AND BLUE ORKESTRE. Continuing the band’s interest in bending and blending genres the song is a gothic love ballad with deep bass, trip hop beats and haunting western guitars. The track was written by Tom DiCillo with crucial musical contributions from several guest artists. Wayne Byrne wrote and performed all the lead guitar parts as well as the piano tracks. Wayne is a multi-instrumentalist who previously played guitar on The Black and Blue Orkestre’s 2014 track, Girl in a Million. He first crossed paths with the Orkestre when covering the release of their debut album, HURT ME TENDER, for the music press. A shared admiration of spaghetti westerns and surf music led to him putting down the pen and picking up the guitar. In Your Dreams is his second collaboration with the group. Kevin Corrigan created and laid down the bass track. Kevin is an accomplished actor as well as musician. His many film credits include Good Fellas, The Departed, Results, The Slums of Beverly Hills as well as Tom DiCillo’s Living In Oblivion. Kevin also plays bass for the band Crystal Robots whose vinyl LP, Crystal Robots, drops this fall (self-release). Robin Eaton contributed a cool baritone guitar riff, a mere sliver of his many talents. Robin is a writer, performer and producer living in Nashville. He works out of his two recording studios; Alex the Great, and Club Roar. He has collaborated with Jill Sobule, co-writing her single, “I Kissed A Girl.” He has produced albums for SpintoBand, Tim Easton and Lionlimb. Vocals, lap steel, percussion and arrangement by Tom DiCillo. Original Black and Blue bassist and vocalist Grog Rox was unable to join the sessions due to schedule issues.